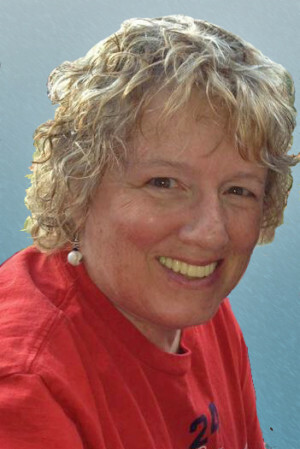 I also took the time last week to do an interview with Fran McGrogan of Stand Curious. We talked about creativity and my insights into painting. I had a wonderful time and hope you all enjoy it too. Her website is about the Stand Curious Podcast for those of us with some leisure time available, who have a natural curiosity and who love to be presented with new ideas. I am one of those with an enthusiasm for life, experience and involvement. 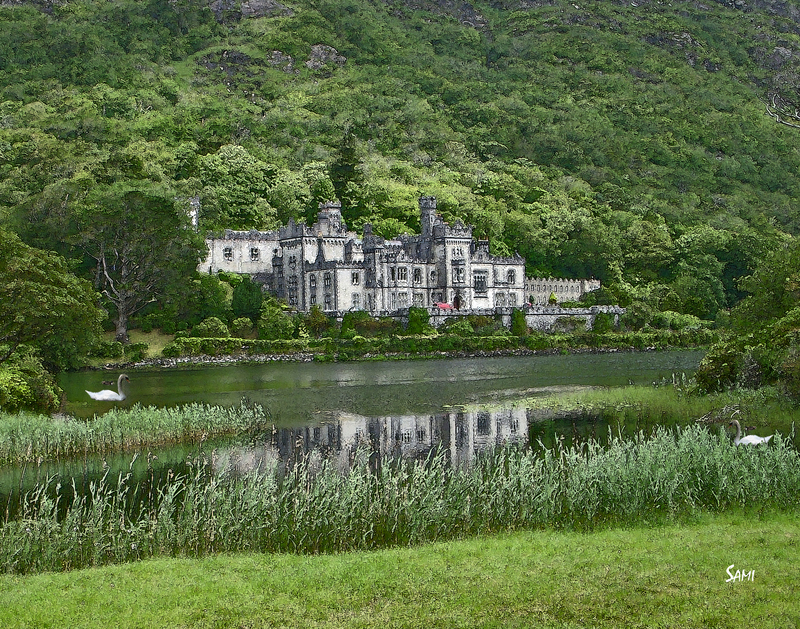 My granddaughter and I used CIE Tours to see Ireland. Our guide had a wonderful sense of humor and delightful stories of Ireland. I even got to kiss the Blarney Stone. 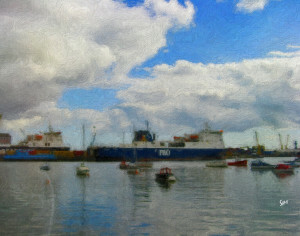 We started in Dublin and I loved Dublin Harbor. 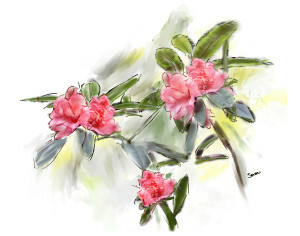 This digital painting turned out to be on the abstract side instead of my usual realism as you see in the featured image, Kylemore Abby, which is an ink and watercolor painting. I tend to gravitate to the wildlife, be it horses, dogs, wolves or other wild animals. 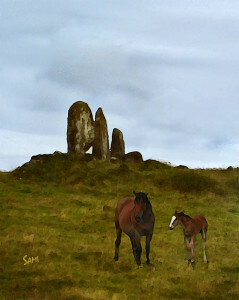 This digital painting of the horses with the Standing Stones in the background is one of my favorite paintings. 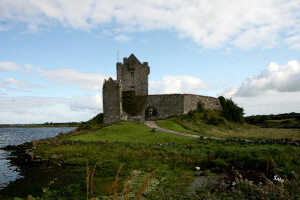 When one goes to Ireland you must include the castles and this was one of my favorites. I also loved the flowers and palm trees and other greenery. I don’t remember what these flowers were called but I had to paint them when I got home. 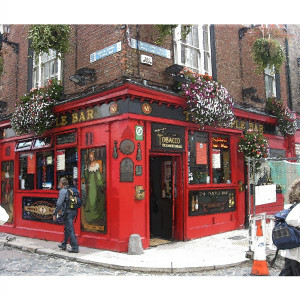 In Dublin the Temple Bar area was a favorite. There are other paintings of Ireland added to the Ireland Gallery. Take time to enjoy the beauty around you. You can always find one thing of beauty in a day if you look. Let your creativity flow. 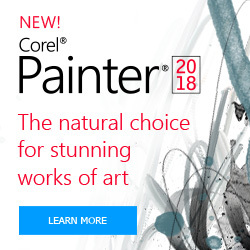 Let me know what you think about the paintings and what would you like to see. Safe journeys, I’ll see you next week.